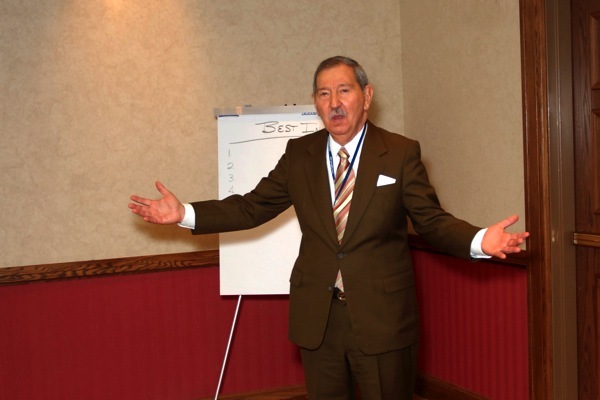 Arturo de la Garza died last July after a long career improving safety and many years teaching TapRooT®. Arturo was one of our first clients outside the US. Linda and I taught a course for him for the safety people at Cydsa in Monterrey, Mexico. Arturo was a Chemical Engineer and had lost of chemical plant experience including plant management before joint Cydsa’s corporate staff. When Arturo retired from Cydsa, he went to work for Cemex and then left Cemex to become one of out contract TapRooT® Instructors. For over a decade he taught courses for SI in Mexico and South America until he was 80 years old. We will miss his good humor and knowledge and we know that all the instructors who taught with him and clients with whom he shared his knowledge will miss him as well.